Astronaut Alexander Gerst, who is one of three crew members currently aboard the International Space Station, captured the dramatic failed launch of the Russian Soyuz rocket in a stunning series of photographs. 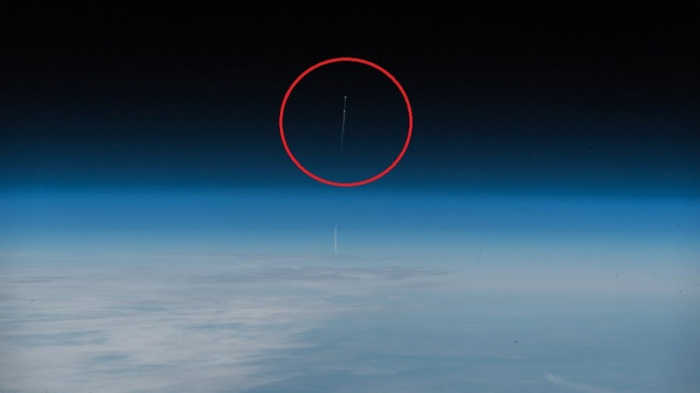 The photos, which Gerst posted to Twitter, clearly show the trail of the Soyuz rocket which on Thursday malfunctioned, forcing cosmonaut Aleksey Ovchinin and astronaut Nick Hague to make an emergency landing from over 50 kilometers (31 miles). The craft’s emergency system worked flawlessly though and both landed unharmed. In his tweet, Gerst said he was happy to hear that his friends were doing well and thanked the rescue workers which tended to them at the landing site about 20 to 25 km from Zhezkazgan in central Kazakhstan. "Today we have seen again how great Soyuz is," Gerst wrote, adding that despite the failure, the crew were able to be safely brought back to earth. “Space travel is difficult, but we must keep going, for the benefit of humanity,” he added.